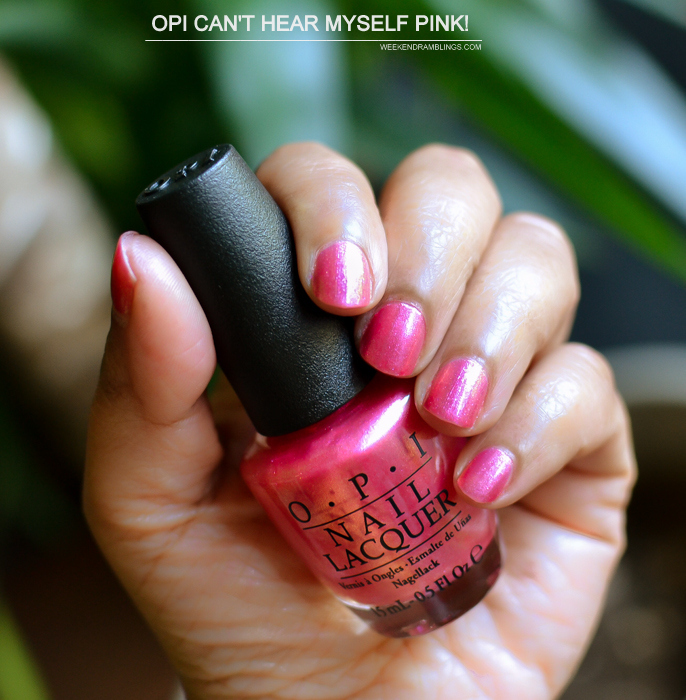 OPI Can't Hear Myself Pink is a shimmery pink with the fine gold shimmer adding a peachy tone to it. Depending on the light, this can look pink or as is the case with my photo below, it can look like a warmer pinkish coral. The formula is slightly sheer and thin, and I needed 3 coats to get it to look somewhat opaque. I can still see the nail line, though. Despite how sheer it goes on, the color is quite tenacious and stays on without chipping for a really long time. 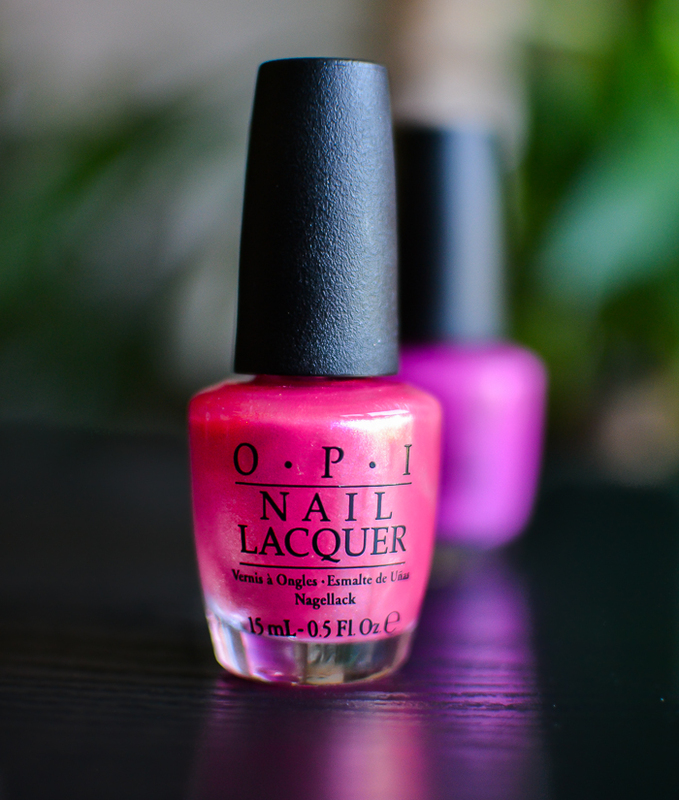 OPI Nail Polish - Can't Hear Myself Pink! 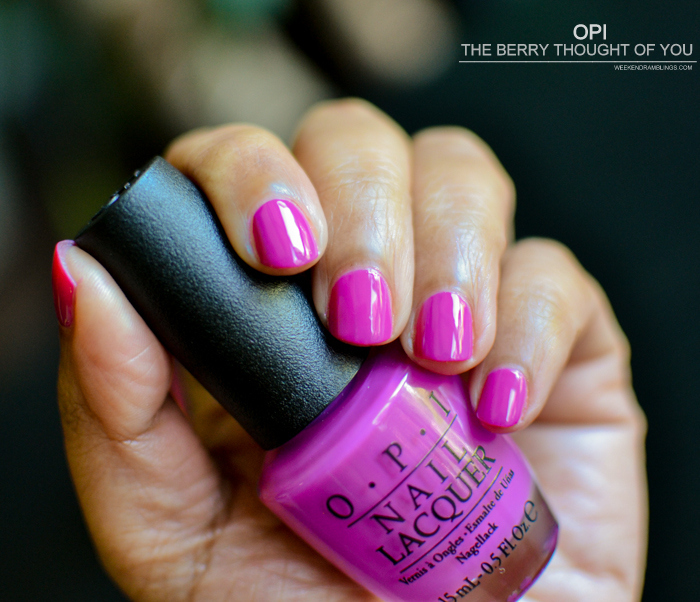 OPI The Berry Thought of You is a bright fuchsia with a glossy creme finish. The formula was easy to apply, and 2 coats was enough to get smooth coverage. In the photo below, I added a third coat for added glossy opaque finish. 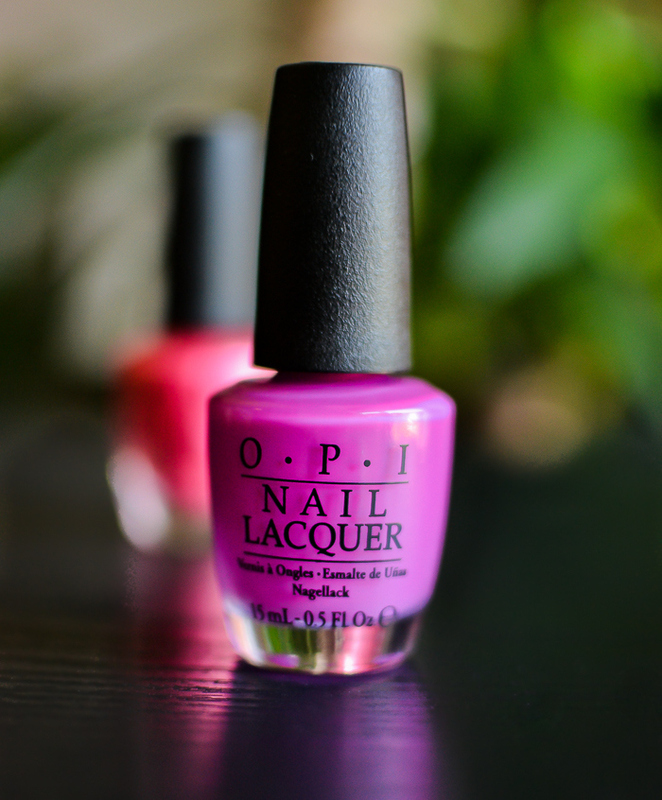 Between the two colors, OPI The Berry Thought of You is my favorite. I love bright glossy finishes, and this formula is quite easy to apply. The glossy finish stays on even without a topcoat, though adding one won't hurt. I amn't a fan of shimmer, and OPI Can't Hear Myself Pink! is not the kind of color I would reach for all that often, but it is a fun summer color that would look great on a lot of skin tones. 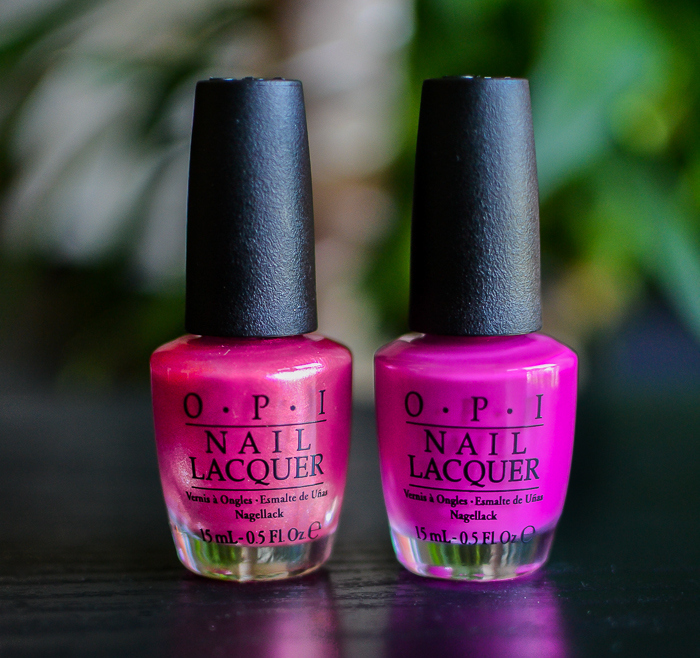 Both colors are easy to apply and long lasting, even without a topcoat, though using a top and base coat with any nail color is always a good idea - helps the polish last longer and keeps nails protected. Please do not copy/download images from the blog and repost on your social media channels or blogs. Products featured in the post were provided for review.